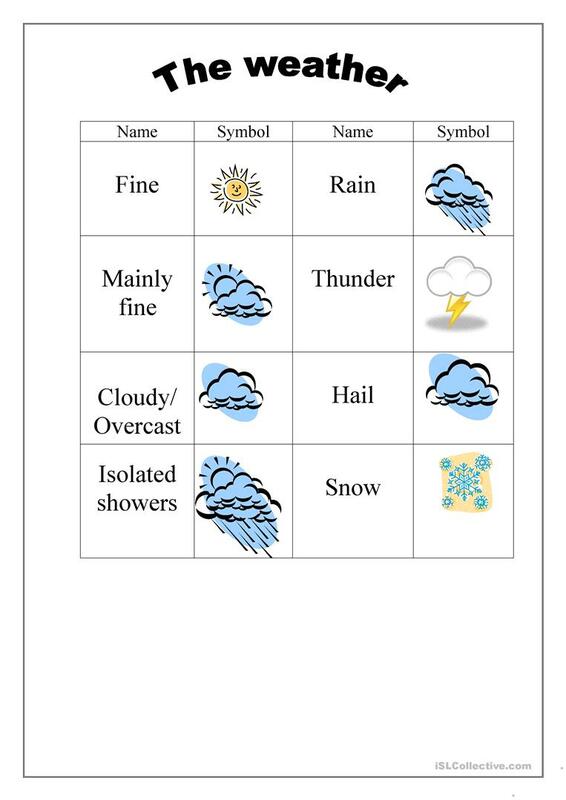 This worksheet is for beginners learning weather symbols. This downloadable handout is recommended for kindergartners and nursery school students at Beginner (pre-A1) level. 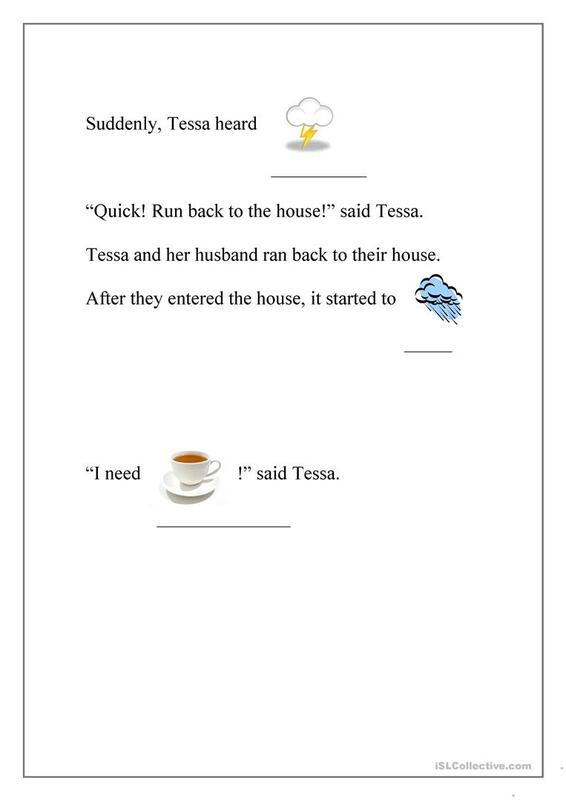 It is valuable for practising Present simple vs continuous (progressive) tense in English, and is a valuable material for improving your class' Reading skills. It focuses on the topic and words of Weather. tesskeighley is from/lives in New Zealand and has been a member of iSLCollective since 2012-03-05 10:23:07. tesskeighley last logged in on 2012-03-05 10:23:08, and has shared 1 resources on iSLCollective so far.